LONDON 1938. A gritty, heart-warming and wholesome drama about two girls united in friendship and tested in love. Perfect for the fans of Katie Flynn and Nadine Dorries. Lizzie Larch is a twenty-year-old hatmaker in London's east end. She is happy and popular, but she carries a secret. Seven years ago she was viciously attacked, and recovered in a private sanatorium where she miscarried a child. Lizzie has no memory of the night of the attack, but secrets cannot stay secret for too long. When she starts courting her boss's nephew, shocking revelations surface, and threaten to destroy their new-found happiness. 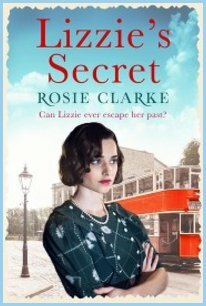 Set in the East-End of London at the dawn of World War II, Lizzie's Secret is about how ordinary people learn to survive - and triumph - through hardship and tragedy.